A golden turkey, surrounded by dozens of delicious side dishes and desserts, is the main mark of Thanksgiving for many American families. The hard work that accompanies the preparation of this meal and its cleanup are certainly less glamorous, but in the case of the former, helping with Thanksgiving dinner can impart key lessons to students. A traditional Thanksgiving dinner with its entree, multiple side dishes, and multiple desserts is a difficult task for one person to accomplish alone. 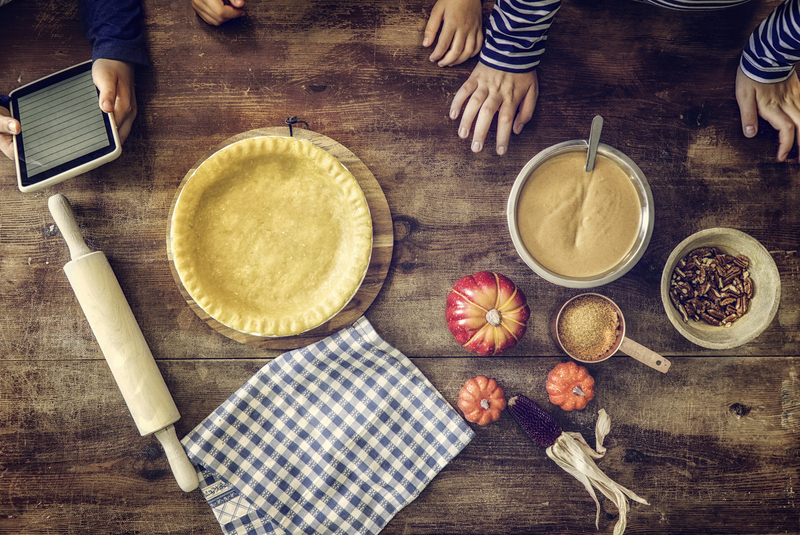 Successful Thanksgiving meals are often the result of collaboration, just as a successful education will occasionally require collaboration with peers and teachers. You can begin to introduce your child to the basics of collaboration by sharing tasks— for instance, your student can wash the vegetables that you will chop and roast as a side dish. Children in middle and high school can even take full responsibility for an entire component of the meal, such as a dessert. Communication plays an integral role in effective collaboration, but it is also important in its own right. Strong communication skills will serve your student well both in school and in the workplace, and the hours before Thanksgiving dinner are the perfect stage upon which to practice. Ask your child to direct you through creating a dish that involves multiple steps, and do precisely as she says—how do her words translate? Were there unexpected gaps in your understanding? You can unpack the results with your student and then change roles to allow her to experience (and refine!) both sides of the communication process. We have all experienced a kitchen disaster: Your entree burns, you forget a key ingredient, or your dessert fails to rise properly. These moments can be frustrating, but they are also excellent learning opportunities for children of all ages. If you require baking soda for your Thanksgiving dinner, and if all the shops in your neighborhood are closed, can you and your student conduct an Internet search for an alternative? Can you salvage a burning dish with a bit of aluminum foil? Problem-solving is a critical skill in subjects as diverse as English literature and mathematics, so why not practice it over the holidays? As you likely already know, baking a pumpkin pie or roasting a whole turkey requires more than 30 minutes. In the days before Thanksgiving, sit down with your child and ask her to help you plan your meal preparation. For example, how long will the stuffing require? How complicated is the crust for your chosen pie? When does the grocery store close on the day before Thanksgiving? Do you have other commitments to simultaneously balance? As you develop a schedule with your student, draw parallels to her schoolwork. How does Thanksgiving compare to that complex school project she has been putting off?